First and foremost, Joe Yezzi is a businessman. Well, technically he owns three businesses: two in the concrete industry and the one that most Street Trucks readers would know, Squarebody Syndicate. 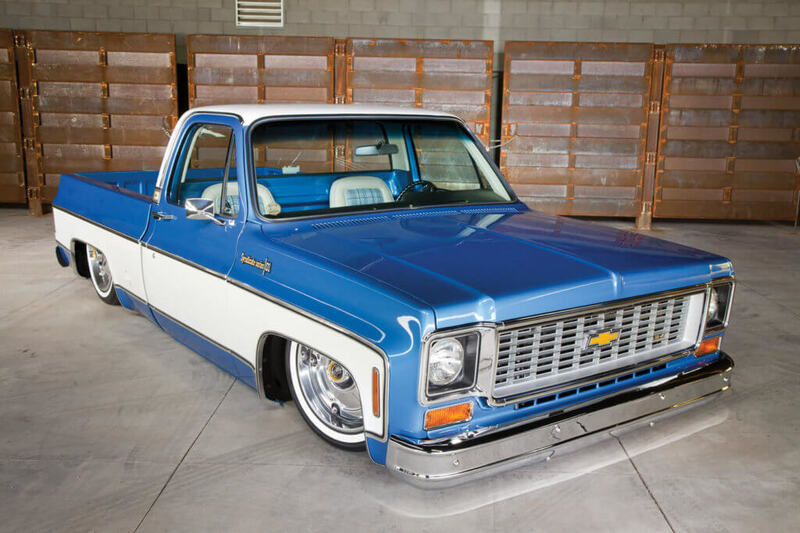 His love of 1973-87 Chevy trucks goes pretty deep, but even though he’s a fan of all things square, there’s a special place in his heart for 1973 and 1974 models. His father had one back in the day, and little Joe used to ride shotgun in the Catalina Blue and Frost White two-toned GMC standard cab short-bed. Riding around in his dad’s truck is one of his best memories. 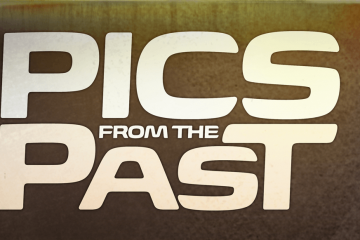 It’d only be natural for Joe to try to relive some of the glory days of his childhood with a similar truck, and in 2011, he happened to find one online. 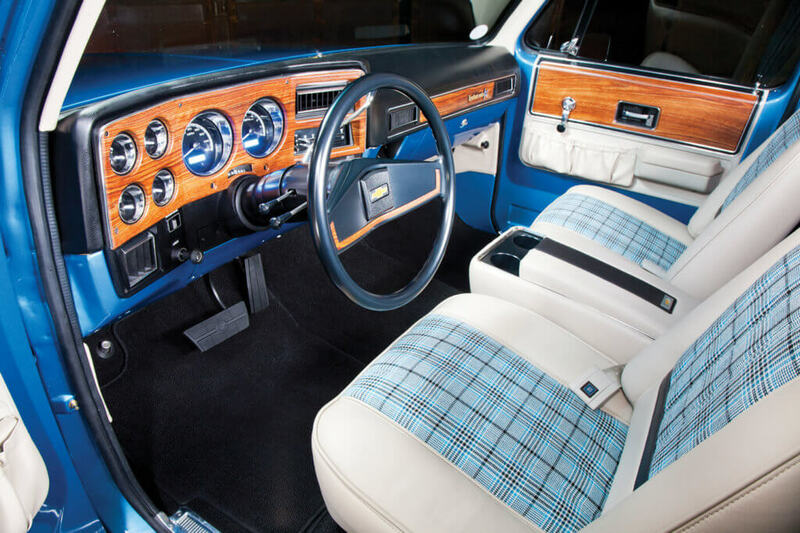 It was a ’74 original Catalina Blue and Frost White Cheyenne Super 10 short-bed—the highest Chevy truck trim level of that year. It needed a ton of work, but Joe figured it was worth a look. So he took his daughter out to Apache Junction, Arizona, to check out what became his next big project. 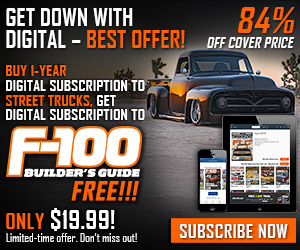 Joe bought the truck and put it through a complete nuts-and-bolts restoration. After a year, it was deemed complete and named Blue J (in the spirit of his previous orange square appropriately named OJ). It had a GM 350 crate motor and was pretty much stock, plus it had a brand-new paint job. It was perfect—except that it wasn’t. 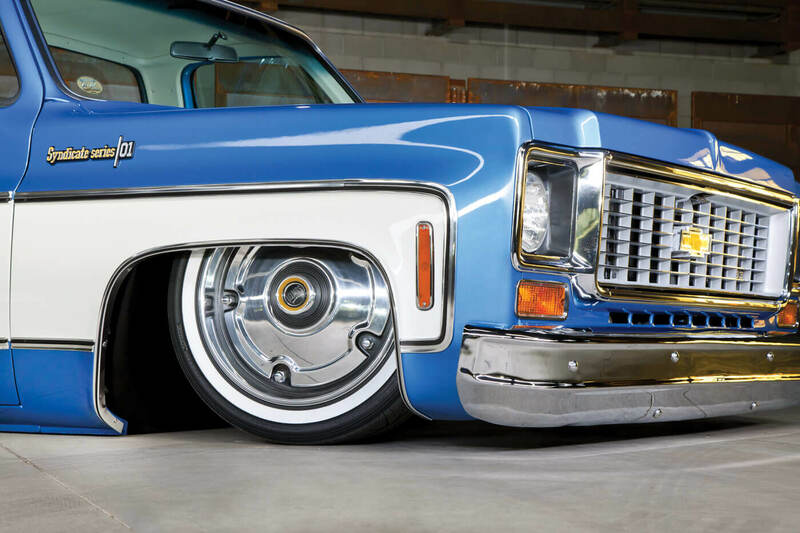 The Delmo Speed and Kustom wheels feature a billet lip that’s finished white to look like a whitewall, but make no mistake, that’s an all-aluminum 22. Joe’s success in his businesses and his life comes from a few different sources, but one of them is his tenacity and attention to detail. Blue J was blue, sure, but it wasn’t the exact shade of Catalina Blue that he was looking for. 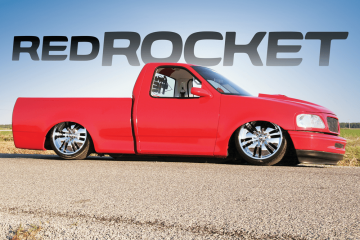 Joe didn’t just want to build a truck that was sort of close to perfect, he wanted perfect. So he tore it all apart and started over. 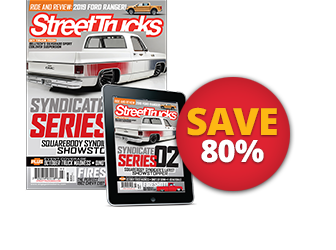 His new plans for the truck that would become Syndicate Series 01 had nothing to do with crazy body mods and over-the-top graphics. Instead, he essentially wanted to do what GM would’ve done in 1974 had the company possessed today’s technology. For example, he wanted to upgrade to larger brakes front and rear and go with disc brakes on the axle. 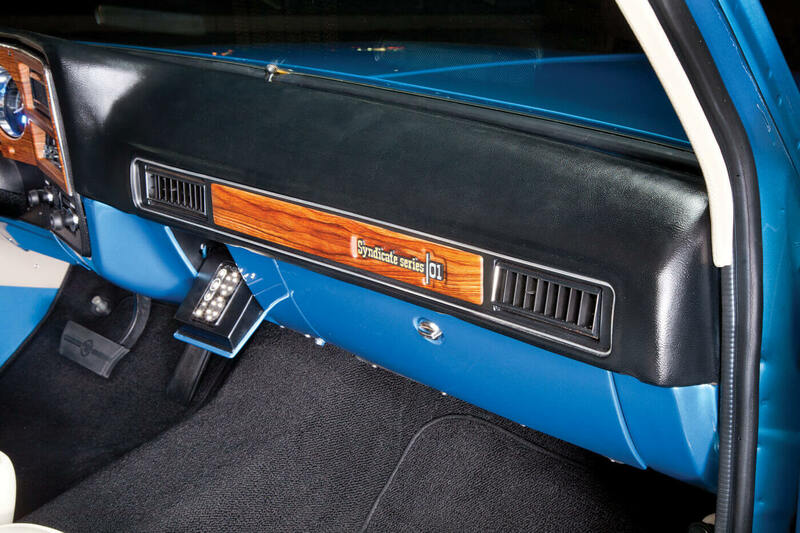 He also wanted to bump the seating from vinyl to leather but keep the original shade. Above all else, he wanted to embrace the truck’s GM heritage, while still creating something that was completely custom. That’s no small task, but it was his goal. That’s not a factory steering wheel; it’s a billet one made by GSI Fabrication that just looks like the factory model. 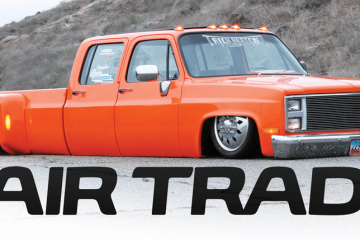 You may remember the truck from Street Trucks coverage of the One N Done event. At the time, a DEL-S3 engine conversion was being added following the Porterbuilt suspension kit that had just been installed. This particular kit is designed to set the pinch molding on the ground with just a few modifications to the floor. It was the first kit of its kind, so the installation took a bit longer than expected, but the result was a truck that sat on the ground and looked amazing. But now, Joe had a problem. 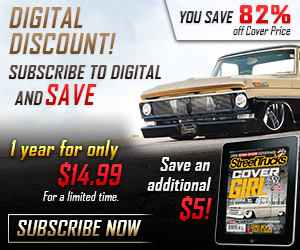 It was just 90 days until the 2015 SEMA Show, and he barely had a truck to work with. He had committed to booth space with Royal Purple and had taken on a few partial and full sponsors for the build. He had a very short timetable in which to completely redo this truck, including paint and bodywork, and he was definitely behind the eight ball. Since this kind of thing isn’t his full-time job, he was running out of time—fast. The bed floor lifts up to reveal the custom suspension and air management setup underneath. Fortunately, he had a few aces up his sleeve; his career was one. As a three-time business owner, he knows how to put together a team and manage a project so that it will be done correctly. 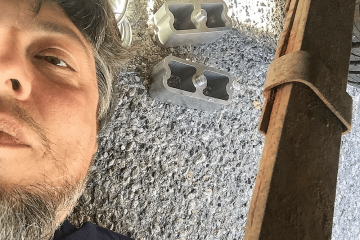 As someone who works with concrete and contractors all day, he understands that there’s a lot of juggling that needs to happen to get a mammoth task checked off, and he knows how to manage the people doing the work. That’s exactly what he did with the build. Everyone in the chain was budgeted time to complete their tasks. After all, he couldn’t send the truck out for paint at one shop while another shop was finishing up the metal work. He maintained constant contact with each group—both before and during their part of the build—so everyone was clear what was in the works. For example, there was a delay along the way with getting the truck to paint, and Ikandy Paintwork’s timeframe for bodywork and paint was dwindling. Because Joe made sure that everybody on that team knew about the delays beforehand, they could manage their own schedules accordingly. If that seems like micromanaging, it is, but if it weren’t for his tenacity, the job never would’ve been done. The GM LS3 has been modified with a DEL-S3 kit that hides all of the electrics and modern trim so that it will look as original as possible. Another thing on Joe’s side is his faith in God. According to Joe, no matter how successful or challenging his life may be he remains humble and strong in faith by giving God the glory in all aspects of his life. He was definitely tested in the weeks running up to SEMA. The number of things that went wrong along the way is staggering. For example, just 48 hours before SEMA, with the entire truck assembled and more or less ready to go, a buffing accident put a burn mark in the door. With no other alternative, the door was pulled off, painted, blended and recleared, and 24 hours later, nobody would ever have known it happened. 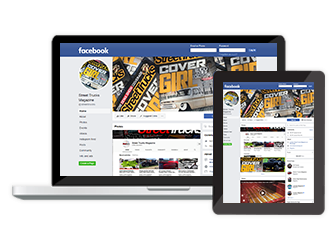 It’s also a testament to Ikandy Paintwork’s owner, Frank Rechlin, and his professional attitude that he was able to accomplish things so quickly. 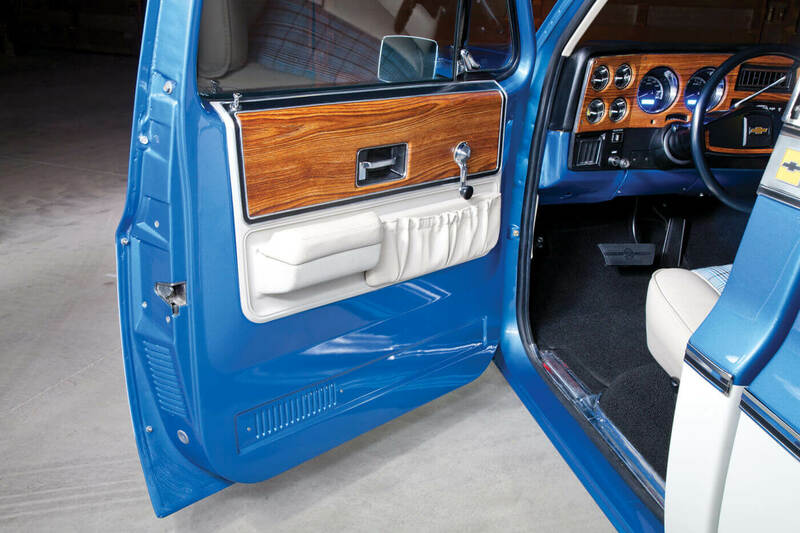 One of the great things about the truck is how it’s completely custom but respects its original GM heritage, a theme that runs throughout the truck. The last thing on Joe’s side was his support staff, particularly his cousin, Rob Yezzi. Rob is also involved with one of Joe’s concrete companies, so the two know that they work well together. During the whole process, Rob was instrumental in making sure that the truck was finished. Between the two, the amount of hours they spent turning wrenches rolls into the hundreds. If it weren’t for Rob and the many other people who helped out, this truck wouldn’t have been finished in time. Yet it was. 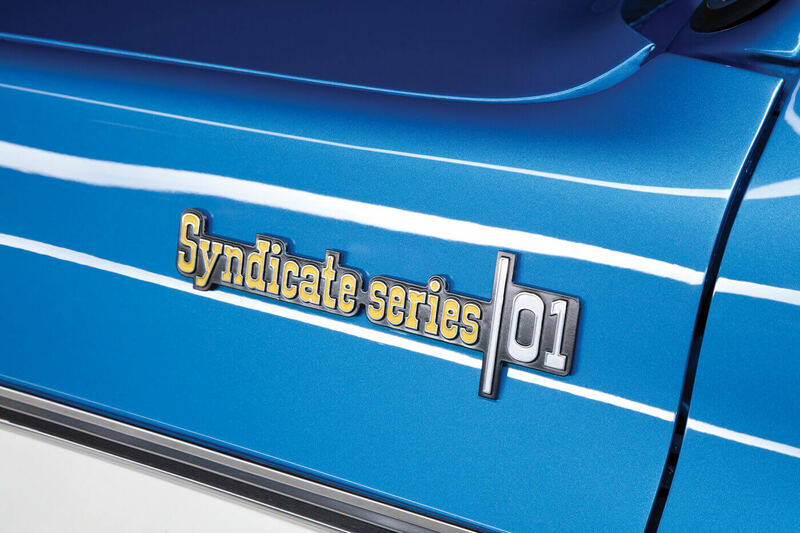 Not only did Syndicate Series 01 make it to the SEMA Show, it also drove in and out under its own power. While it sat in pristine condition in Royal Purple’s booth, it attracted the attention of celebrities and show-goers alike. So much so that when GM came around to determine which rides would take home one of its prestigious awards, Joe’s truck was one of the winners. 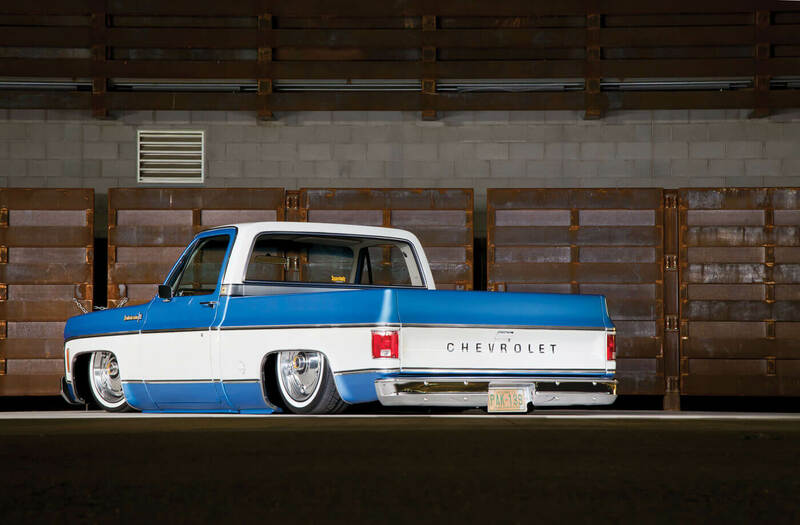 He ended up winning the 2015 GM SEMA Design Awards #ChevySema People’s Choice award, a huge honor and something every GM truck builder aspires to achieve. 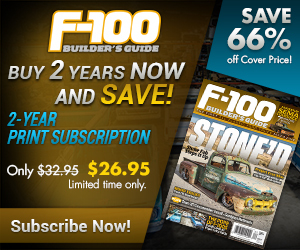 Syndicate Series 01 is just the first big build for Joe and Squarebody Syndicate; he already has plans for two more.